This article frames the problem of news dissemination as a problem of market lemons, analogous to the issue raised by George Akerlof in 1970. Framing news as a mechanism of vetting common knowledge as opposed to entertainment allows one to see that instant common knowledge in the byzantine and uncertain way in which humans communicate and live in is unattainable. Given this frame of the problem a potential solution is posited which allows traditional newspaper companies to serve and focus on the role of validating news rather than simply creating or capturing it. The most value added service that traditional news organizations can provide is validation of truth and quality assurance. Gauging quality of entertainment is fairly simple and self-evident. Consumers know instantly whether a product is entertaining and consumers continue to pay attention if they find the material to be entertaining. News providers tend to serve both an individual’s desire for entertainment and information in one product bundle. Although it is very easy for consumers to test the quality of the entertainment component of news it is much more difficult to gauge the information quality of news. This entry was posted in online journalism and tagged akerlof, business models, dhruv sharma, market for lemons, roy wagner, taleb, verification on December 22, 2009 by Paul Bradshaw. 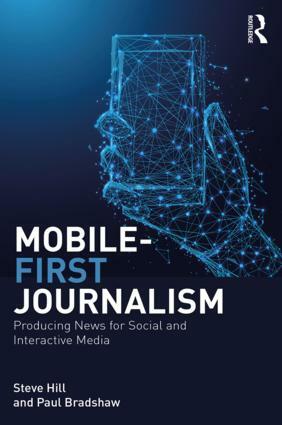 Last week, the Guardian reported on a few promising citizen journalism projects in Africa that use mobile phone technology effectively to not only communicate with people but to also allow the audience to contribute to newsgathering. As opposed to the excessive – and even frivolous – growth of smart phone applications in the Western world, mobile phones in developing countries, which are nowhere near as sophisticated as ones in America and Europe, are being used as a reliable proxy for high-speed Internet access to perform basic functions, such as paying grocery bills and delivering medicines. Cell phone companies have bought into this as well, developing cheap, reliable phones with ease of use and practical functionality. The Ushahidi crowdsourcing project that the Guardian article elaborates, is perhaps one of the best known and most successful mobile journalism exercises in Kenya. Ushahidi–which means “testimony” in Swahili–attempts to gather as much information from the public as possible and then verify this collected data with the help of computer and human confirmation. Launched during the post-election violence in Kenya in 2008, Ushahidi has since been implemented worldwide — from monitoring unrest in the Congo, tracking violence in Ghaza, to reporting on the Indian elections earlier this year. Basically, the way it works is that once the aggregated data comes in through multiple streams, be it Flickr, Twitter, or Ushahidi, people can go in and rate the data – the information is thus verified by the sheer power of numbers, as in any crowdsourcing project. In addition, the information is filtered through machine-based algorithms to confirm accuracy. Ushahidi used a similar method to track the Indian elections earlier this year through VoteReport.in. In India, “moblogging” or microblogging, made possible through the explosive popularity of cell phones, has been growing for the past few years. Sites like smsgupshup.com and Vakow.com – Indian versions of Twitter – allow people to disseminate 160-character messages to groups, enabling amateurs to deliver personalized, customized news through sms messages. This makes up for the relative lack of interactivity from mainstream Indian news organizations. Cell phones as tools for information dissemination are particularly valuable in countries like Zimbabwe where radio transmission is often blocked. Text messages can allow an uninterrupted flow of information in such cases. The Guardian‘s Activate 09 project sends out headlines to tens of thousands of citizens in the Southern African country through sms messaging. In addition, the paper has been crowdsourcing ideas from its global audience on the different methods available to reach thousands of people during breaking news events. The Grameen Foundation, a global nonprofit, has partnered with Google and a Uganda-based telecommunications provider MTN, to answer important queries sent in by residents via text messages; questions range from clarifications about deadly diseases to agricultural problems. In Kenya, RSS feeds from the Internet are fed into mobile phones to educate and inform people, and text-to-speech tools that convert sms messages into audio files are helping the visually impaired. Some Western companies are encouraging Kenyans to take part in crowdsourcing projects in return for micropayments. Citizens perform small tasks such as transcribing audio and tagging photos for small sums of money. The BBC is now providing English language learning capabilities in Bangladesh through cheap audio and SMS lessons through a partnership with mobile service providers. Despite the availability of hi-speed Internet access in Western countries, the versatility of the cell phone as a vehicle for citizen journalism is very special indeed. The ability of a phone to provide real-time, on-the-ground coverage is undisputed, whether you see an unusual occurrence on the street on your way to a mall in Los Angeles or witness a riot in a displaced community in Darfur. 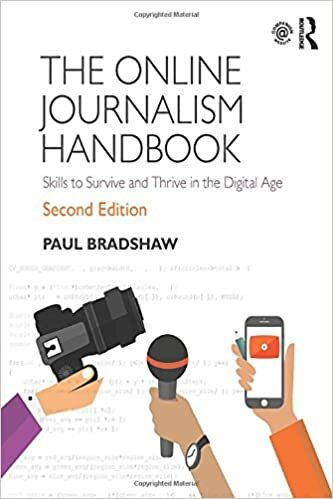 This entry was posted in online journalism and tagged citizen journalism, crowdsourcing, developing countries, karthikaswamy, mobile phones on December 21, 2009 by Paul Bradshaw. 1.A tabloid’s cover price barely covers the distribution costs, showing all profits are aquired through advertising: Given that The Sun & Daily Mail still sell 5million copies between them, how much do you think making companies advertise across two platforms (print and online) has damaged the business model of journalism to force solutions in paywalls? This entry was posted in faq and tagged paywalls on December 20, 2009 by Paul Bradshaw. This story was originally published at Poynter. Republished here for archiving purposes. This entry was posted in online journalism and tagged birmingham mail, Birmingham Post, comments, poynter, steve nicholls, tom scotney on December 19, 2009 by Paul Bradshaw. Here’s another tutorial on the mashup platform Yahoo! Pipes, showing how you can use it to create a meta-search that will push any search term by the user through a number of search engines, and present you with a combined result (and RSS feed). A finished version of the pipe can be seen here. This tutorial builds on a previous post I published on how to create basic mashups with Yahoo! Pipes. If you haven’t any knowledge of Pipes you should probably read that first. First, you obviously need to log in to Yahoo! Pipes, and click on Create a Pipe. You’ll be taken to the Pipe editing interface: on the left will be a menu with a series of sections (User Input, Url, Operators, etc.) to choose modules from. In the centre will be the canvas where you create your pipe – and at the bottom a ‘Debugger’ area where you can see the results of any particular part of your pipe. In the area on the left, under the ‘User Input’ section, click on the ‘Text Input‘ module and drag it onto the canvas (or you can click on the + sign for it to be placed for you). This entry was posted in online journalism and tagged custom search, ma online journalism, mashups, meta search, paul daniel, Yahoo! Pipes on December 18, 2009 by Paul Bradshaw. “What a word! “Users.” Not readers, or viewers. Certainly not customers – not unless we are being deeply ironic. For the fact is the word “user” is, for the vast majority of people consuming our products online, entirely accurate. He’s not alone. Many others have expressed – if not in such forthright terms, and often on very different bases – similar objections to the term. This entry was posted in online journalism and tagged users, yochai benkler on December 17, 2009 by Paul Bradshaw. Last month I blogged about the consultation currently taking place on the law of defamation and the multiple publication rule. The deadline for that is today. Below I’ve published my own responses. If you feel I’ve got something wrong or missed something, please let me know. Question 1. Taking into account the arguments set out [in the document], do you consider in principle that the multiple publication rule should be retained? If not, should a single publication rule be introduced? Please give reasons for your answers. This entry was posted in online journalism and tagged consultation, defamation, department of justice, doj, law on December 16, 2009 by Paul Bradshaw.